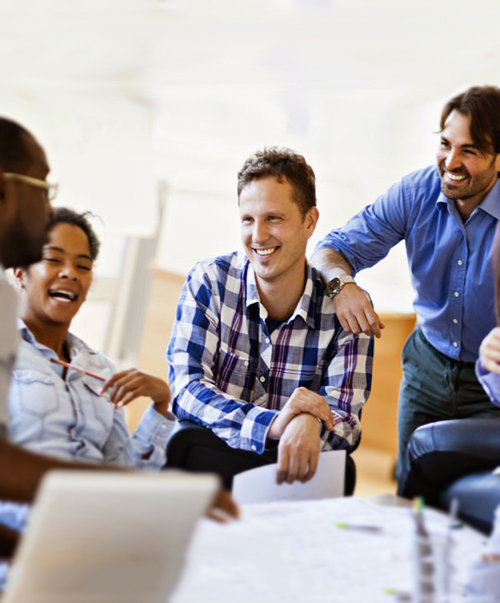 Want to TRANSFORM Your Team? CLARIFY THE PROBLEM This is the consultation phase where we work with you to determine exactly how well your teams are performing on our 4 key world class team competencies. DESIGN THE FIX We will design a customised series of workshops and training sessions that address the specific needs of your team. MAKE IT HAPPEN Our world class facilitators will deliver your workshops in a way that will inspire, challenge and empower your team to take action. You’ll start to see results in 3 weeks. MAKE IT STICK Here is where we are different to other training companies. We do not just “launch it and leave it”. We design and deliver a 12 month follow-up program to ensure the changes in your team are fully embedded and that you achieve the long term change you desire in your business. We guarantee it. We design and deliver customised programs specific to solving your business issues. Unlike other people development companies, we partner with you to develop the strategy AND implement it because we know that game changing results can only be achieved through successful implementation. We turn the latest scientific research into practical, easy-to-implement solutions for real businesses. We are a boutique consultancy that partners with your business to gain the high-performance teams you desire in less time, with less stress and without burning out your top performing staff. We are the exclusive Australian partner of “GREENLINE CONVERSATIONS©”, the internationally acclaimed program used by companies such as Ernst & Young and Pepsi to drive productivity, engagement and trust. We have refined our methods over 15 years of team building experience, working with some of Australia’s most innovative and prestigious companies. We use a neuroscience based approach utilising the latest research findings and learning techniques. 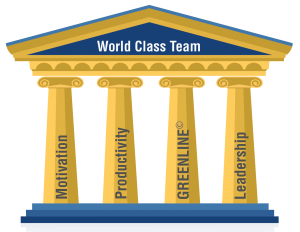 Our program works on optimising both the people and processes involved in creating truly world class teams. Market-leading, innovative companies looking for game changing ways to stay ahead of the pack. Top performing CEOs and Senior Leaders who want to make big step changes in business performance, and recognise that people are more critical than processes for business success. Businesses that believe in the power of teams and know that people do their best work when they work well together. team you need to make your business fly?